Imaging walking 2 dogs with untangling design, you will have one-handed free to open a door, drink a cup of coffee or make a phone call. That offers you increased freedom in walking. And your pups can still explore independently with great joy. No matter how active your dogs are, you don't need to slow down and untangle the twisted straps by hand anymore, our perfect design will be the best choice for 2 dogs walking with no twisted leashes. -Mavric, a professional pet products manufacturer, offers all kinds of ribbon dog collars and leashes 1 year warranty is offered by us. If you have any question about pets or products, please feel free to contact with us. Shall I Feed My Dog With Fruits And Vegetables? We all know that a healthy diet for human must includes enough fruits, vegetables and meat. But how about for dogs? Dogs can eat meat and vegetables, they are omnivorous animals. Normally, if you read the ingredient list of commercial dogs food carefully, you will find that most food is a combination of meat, grains and vegetables along with fruits. So vegetables and fruits are acceptable for pets as well. And the benefits of veggies have been proved by many professional vets as well. Low sugar vegetable and fruits can help your overweight pets to lose weight and keep health. But there is one thing you need to remember that do not change the diet of your pets suddenly, which will makes them feel upset. THe leash has been a huge problem solver for me. 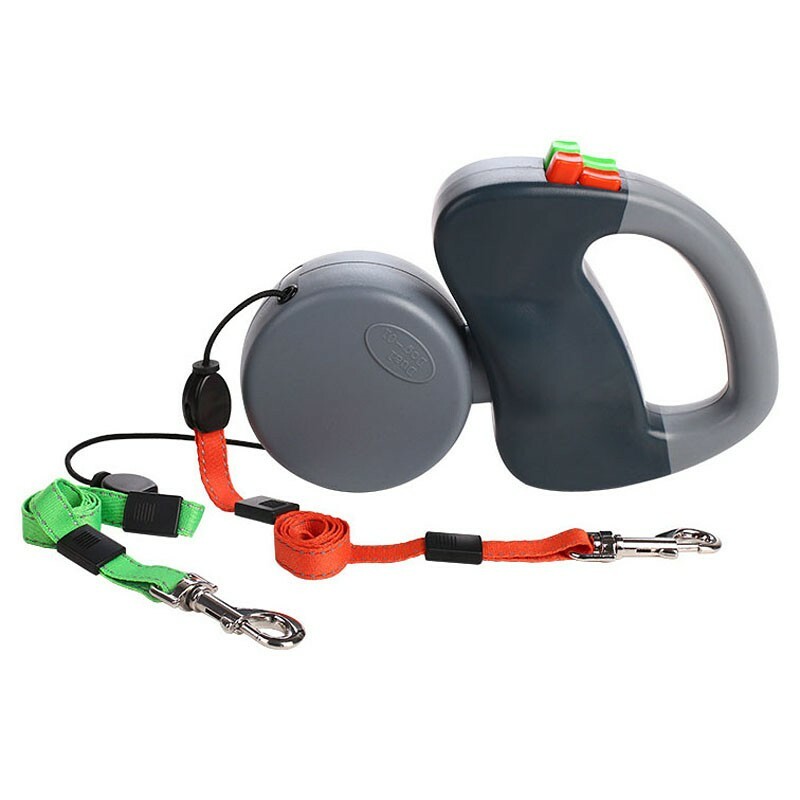 It works great with my two little dogs that contrantly cross back and forth.No more tangled leashes..
With 2 little dogs this works great. Keeps them from tangling up the leash and keeps them together. Not meant for big dogs but for the little ones it's great. Works well. I still had to figure out how to manage it when pottying the dogs and one went in front of me and one went behind me.